We are excited to introduce you to the Priory as a potential venue for your celebrations. A small, quirky and magical place with a unique team, many of whom have learning difficulties, who are passionate and friendly and would love to help you to celebrate your special events. In broad terms, we are a blank canvas but in practical terms we can offer you 9 bedrooms in country home setting. Our accommodation is comfortable and individual. We foster a home from home feel where you and your guests can kick your shoes off and enjoy your celebrations from beginning to end. The Espin Lounge can seat up to 80 if you are just looking for a venue to get married in. The Drawing Room is our most popular room for ceremonies with seating for 40 and standing room for a dozen. The Parlour, with its beautiful arches and views of the gardens, is a small but special room seating around 20. The Summer House is possibly one of the smallest but most special places you could imagine saying “I will” in. Room only for you and the registrar’s but standing room outside for all of your guests, Thomas Espin started building this summer house for himself in 1818 and it became his mausoleum when he died in 1822. We can seat around 60 for a sit down celebration in the Espin Lounge and could cater for larger numbers in the gardens for a marquee, hog roast or picnic wedding. We are happy to have a chat about your dream day and help you turn it into a feet on the ground reality. In the main house, there are two drinking areas, the Espin Bar for a wide range of drinks and our own little Gin Room situated in the former Headmaster’s Office and Library. We can also set up a temporary bar in the gardens for larger celebrations. We realise that, at the end of the day, it all comes down to pounds and pence and with the best will in the world we all have a budget. Rather than complicating things with separate drinks, room hire charges etc, we work to your budget and will agree an all inclusive figure with you. The Priory package - the Priory package is based on 17 years of celebrations and is where we work together to create a rough plan and you turn up and we look after you and your guests for the weekend. We use you as a couple for inspiration and take on board your tastes, guests and budget. For a celebration with 50 guests using the main house for dining, this would in 2019 money, average around £6000 for the ceremony, food, drink and bridal suite for the weekend. The bespoke package - the bespoke package is as you’d expect, a completely tailored experience. Prices are based on your unique aspirations and for a wedding with 50 guests, prices would start from £6,500. The midweek package - midweek celebrations on Tuesday or Wednesday for 20 to 40 guests offer great value from £2,000. Full or partial use of the house , prices tailored to your event and budget. We can cater for a small number of Christenings / Sunday Celebrations. We would tailor the day to you , as a rough guide packages would start from £10 per person plus £40 per hour for us of the house and grounds. Designed and constructed by Thomas Espin FSA in the regency period, the Priory is a unique property. It started life as Thomas Espin’s Gothic Cottage but soon became Dr Mabletofts School for Nautical and Mathematical Studies,a charitable school for exceptional students who did have the means to study at King Edwards and became home to about fifty boys and a dozen masters. Built from remnants of Louth Park Abbey and architectural salvage from Louth’s Guildhall, the Priory has many quirky features and is a place where history and celebrations do shots together at the bar. Mr Espin was a noted mathematician, historian, artist and architect and released all of his passions at the Priory while building his dream of a Gothic mound in a country park setting with a folly and summer house. Thomas Espin was, from what we can gather, a maverick and somebody who cared deeply about what he did. 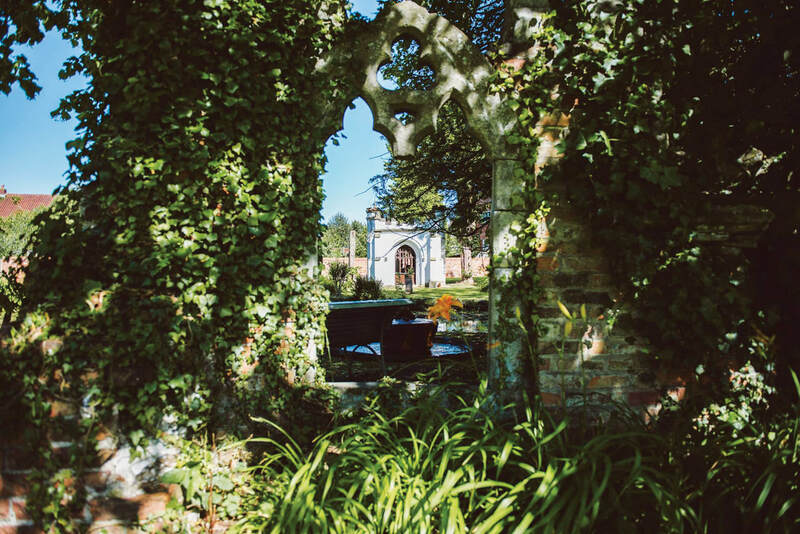 As a team we run the Priory in this spirit, keeping one eye on Mr Espin’s unique dream and the other on creating a magical place where where life and possibility drive our business and memories add to the human history of this special home.